The installation is usually done in two days. Contrary to popular belief, conversion to a hybrid propane vehicle is not a very complex process. Nothing is removed from the vehicle at the time of conversion. The gasoline system remains functional and integral; the conversion makes the hybrid vehicle running on gasoline/propane. Therefore, a conversion system can even be removed from the vehicle if desired. 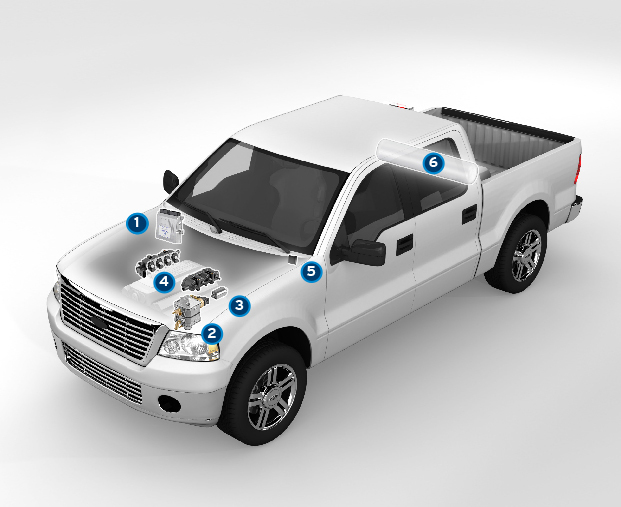 During the conversion, the technician adds the necessary components to create an injection system that could be described as “parallel” to the fuel system: tank, filters, vaporizer and injectors are the main parts that will be added under the hood. All components are CSA certified and perfectly adapted to the harsh Quebec climate. The computer connection (ECU) allows autonomous fuel management, fuel transfers are imperceptible to the occupants, and engine performance is at its usual level at all times. No driver intervention is required. Fuel management causes the transfer of gasoline to propane or vice versa at the optimal time. At all times, the vehicle starts on gasoline, and the transfer to propane is automatic. In case of propane failure, the system also automatically switches to gasoline. The technology used by various automotive manufacturers is evolving, and conversion system manufacturers have no choice but to adapt. Alliance AutoPropane currently focuses on gasoline vehicles, sequential injection and direct injection engines (some models). In recent years, up until 2014, there were almost exclusively sequential injection engines. The conversion system for this type of engine is quite standard. The conversion of these engines is very similar from one vehicle to another. The calibration is done by the technician during the road test of your car, van or bus. Since 2014, direct injection technology has been flooding the market. Conversion system calibration is developed by conversion system manufacturers. The computer (ECU) is pre-programmed when the conversion kit is delivered The technician has access to very few parameters, which limits handling and always meets the same standards during a propane conversion system installation, regardless of the vehicle. Ask for your propane vehicle conversion quote now!